Dream better at the Sleep Inn Near Ft. Jackson in Columbia, SC. 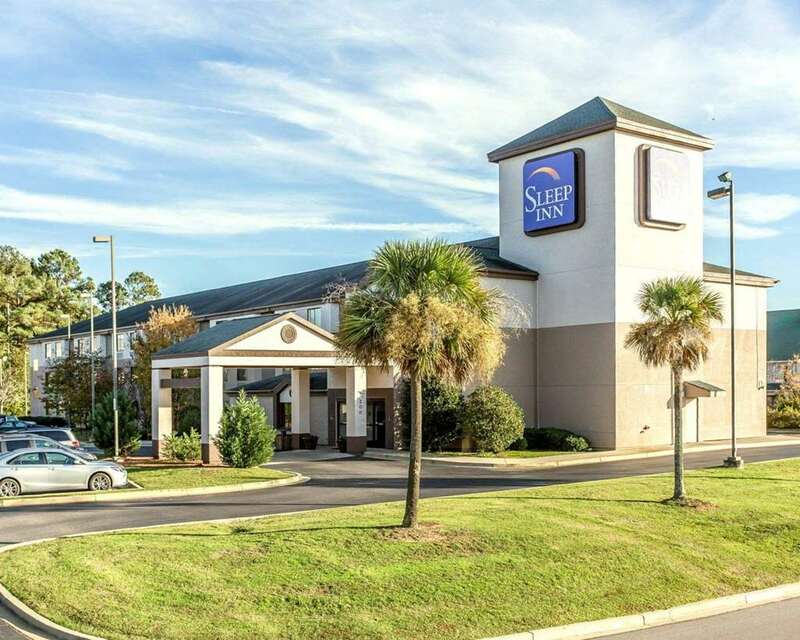 Our smoke-free hotel is located just off I-77 with easy access to destinations like the U.S. Army Training Center and Fort Jackson, University of South Carolina and McEntire Air National Guard Station. Business travelers will enjoy access to copy and fax services and meeting facilities for up to 54 guests. Additional amenities include free WiFi, free hot breakfast and coffee, an exercise room and outdoor pool. All guest rooms include TVs, hair dryers, coffee makers, irons, ironing boards, microwaves and refrigerators. Also, earn rewards including free nights and gift cards with our Choice Privileges Rewards program. Hotel is 100-percent smoke-free. No pets allowed. Payment cards will be authorized prior to arrival for the full amount of stay plus 25% for incidentals. Cash-paying guests must make a 100.00 USD deposit or provide a valid credit card at check-in.